You can rent a high efficiency air conditioner for less than a dollar a day! It is worry free! Parts, Labour, and Repairs are covered under the rental agreement. 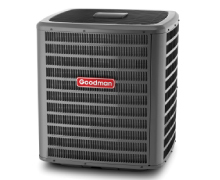 Looking for reliable stable costs that only a rental air conditioner can provide you as a home owner? Interested in cutting upwards of 50% off your cooling and air conditioning energy bills? Depending on the brand of air conditioner you choose a high efficiency system starts at around a $1 a day. If you have an old system efficiency alone can nearly offset this cost. What are the Benefits of a Rental Air Conditioner? Be confident with the knowledge that your monthly bills will not change and you have protection from any breakdowns or system failures. Everything is included in one monthly payment that could be as low as $1 a day. We normally like to have a representative come out to your home to assess the installation, take any measurements, size an appropriate air conditioner, listen to the input the home owner has, and solidify an exact price we can stand by. This usually takes less than hour and can be scheduled for any day of the week (weekends included). Pricing Your Homes Central Air Conditioner.